Recently I took a trip through northwestern Ontario with a few stops along the way. While the BBQ at Buster's BBQ in Vermilion Bay was a definite highlight (try the Carolina pulled pork sandwich, it's unreal) the best part of my trip was the beer from a brewery located way up in the heart of Kenora, ON. 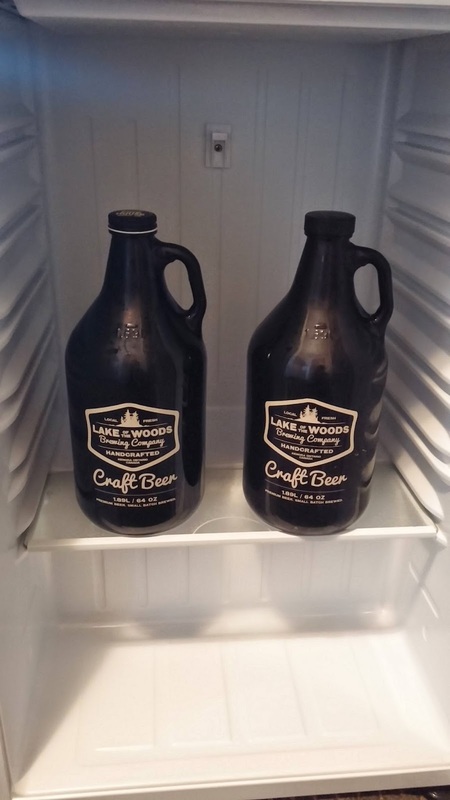 Near the shores of Lake of the Woods, far from the prying eyes of beer enthusiasts, lies a little known gem of a brewery: Lake of The Woods Brewing Company (check them out on Twitter @lowbrewco). This is easily one of my favourite places to visit when I'm in Kenora, and possibly my favourite in all of northwestern Ontario. I'm not quite sure which I like more about these guys, the fact that they brew unbelievable beers, or that they've renovated the old Kenora fire house into a spectacular little brew pub. 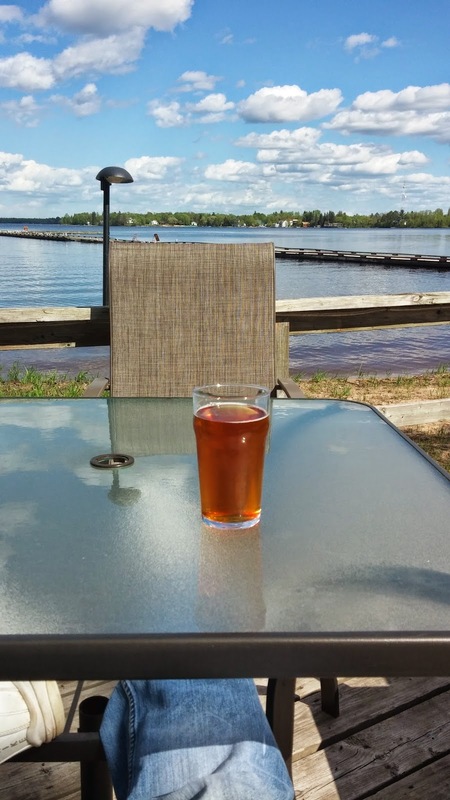 Lake of The Woods Brewing Company typically features three staple beers and a seasonal on tap. The Firehouse Amber Ale, Sultana Gold Ale and Papermaker Pilsner make up this fine stable of beers and during my recent visit the seasonal was an unfiltered 'kellerbier' version of their sultana gold ale. Now, you really can't go wrong with any of these brews (they've all scored four or higher in my Untappd account) but the cream of the crop for me is definitely the Firehouse Amber Ale, aptly named after their stronghold. This well balanced pint of awesomeness perfectly combines the full flavour that beer lovers crave with the drink-ability of the easiest of easy drinking beers. Pair that with some of their signature walleye bites and you've got yourself just about everything you're going to need for a stay at the pub. "What about entertainment? ", you might ask. Well the crew Lake of The Woods Brewing Company thought of that too! The second floor of this joint has been artfully renovated into a full-on games room fit for the man cave of your dreams. including pool and foosball tables, darts, and for us gamers, a few arcade games too. They've also got a retail store where you can fill your very own growler (64 oz. beer jug) with any of their beers on tap. All that's left to do is grab a pint and make your way through the large glass roll up doors onto the sweet patio and enjoy some sunshine at your new favourite hang out. I bet you're all wondering where you can get your mitts on these beers. Here's some good news: this remote brewery is now servicing several pubs in both Thunder Bay and Winnipeg. They even ship their seasonal brews out to the local pubs (the blueberry ale was on tap at Lot 66 as recently as a couple of weekends ago). So if you're not in the area, you still get the opportunity to sample the best creations their brewmaster can offer up (my personal favourite was their dopplebock offered late last fall). After Kenora I made a stop at the Rendezvous hotel in Fort Frances, for some food and drink. To my delight the rendezvous also offered up all of the Lake of The Woods Brewing Company's beers on their patio overlooking a the lake. There is so much beauty in the scenery of northern Ontario (Sioux Narrows, I'm looking at you!). You owe it to yourself to come check it out.